Another uneventful day spent most of the day in bed, not feeling well. 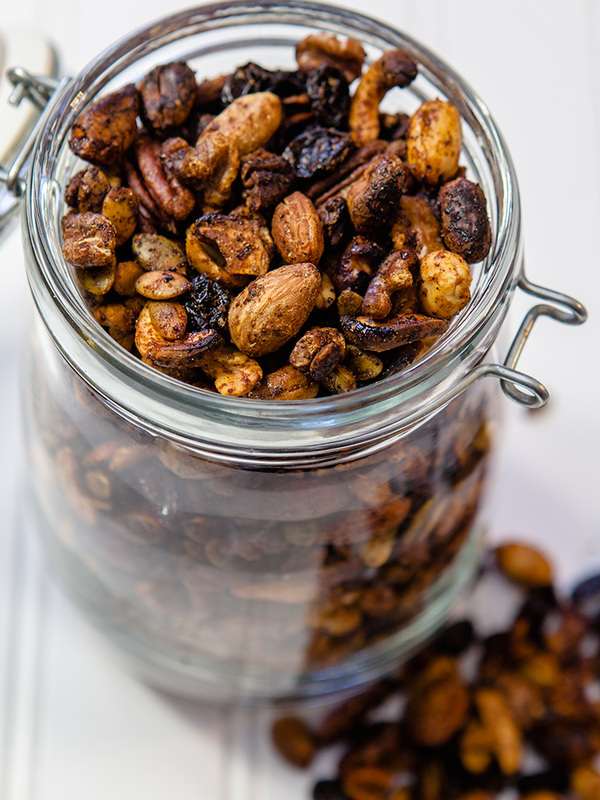 I did take some time to make this fruit and nut mix. It’s for our camping trip that we are going on this Friday. It makes a great snack, a healthier alternative to store bought chips and snacks. 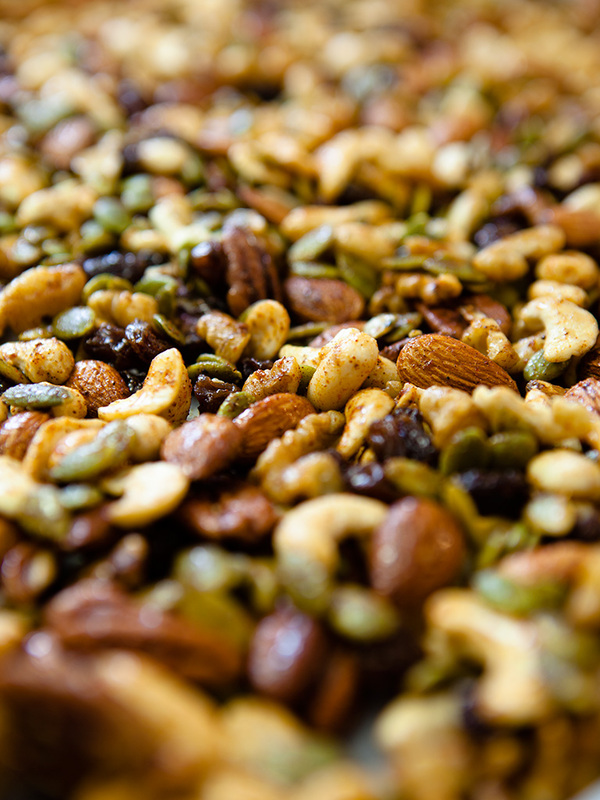 To make a fruit and nut mix all you need to do is use a mixture of your favorite nuts and fruits. Mix them with oil, sugar and spices, it really is that simple. 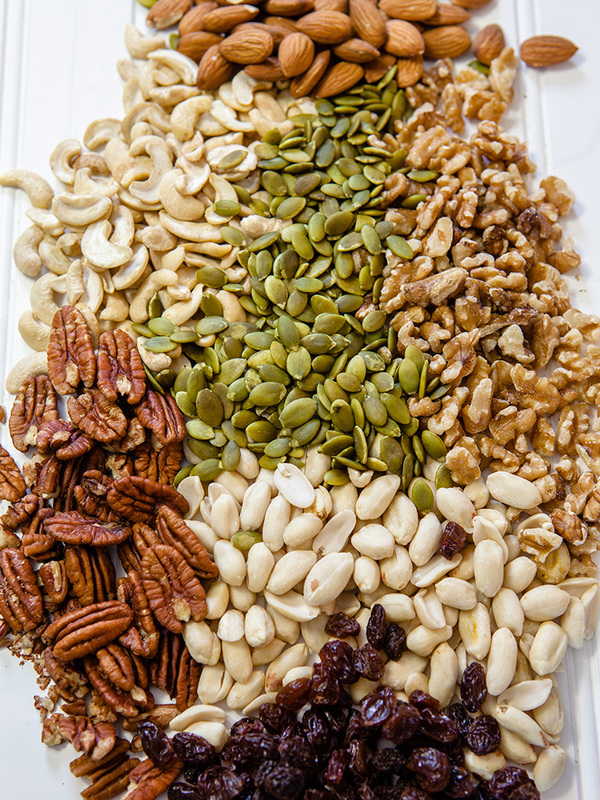 Lots of fresh delicious nuts. In a bowl add the first 7 ingredients and mix together. In a small bowl add the rest of the ingredients and mix together. Pour the maple syrup mixture over the nut mixture mixing well together. 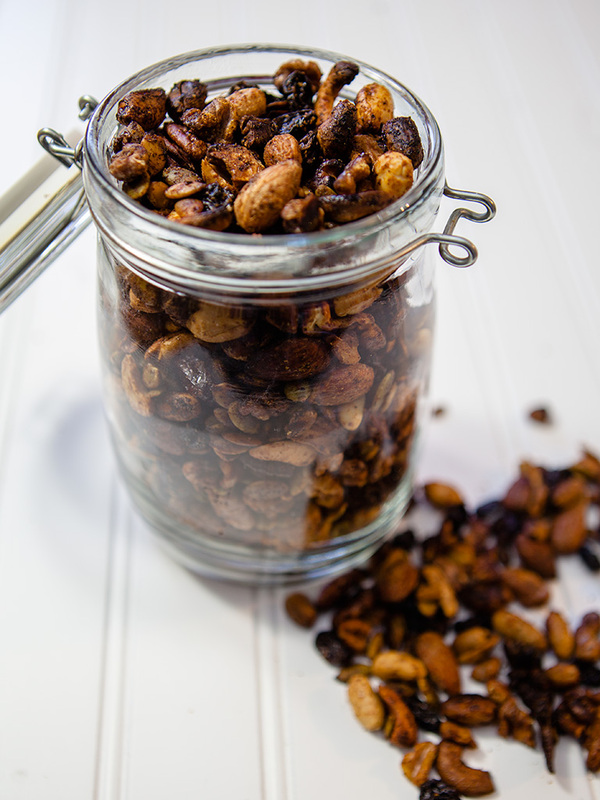 All nuts should be coated. 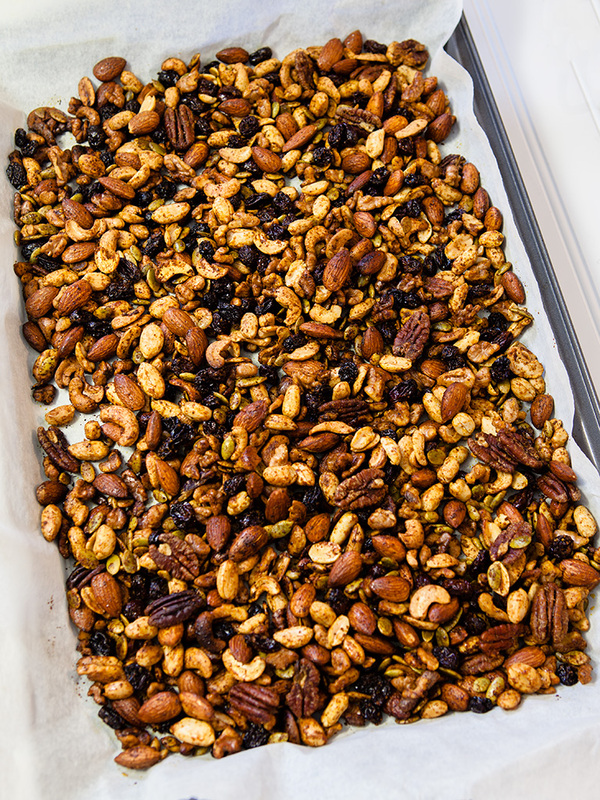 Line a baking tray with parchment paper and spread the nuts out on it. Roast in oven for 20 minutes. Tossing twice, until the nuts are glazed and golden brown.